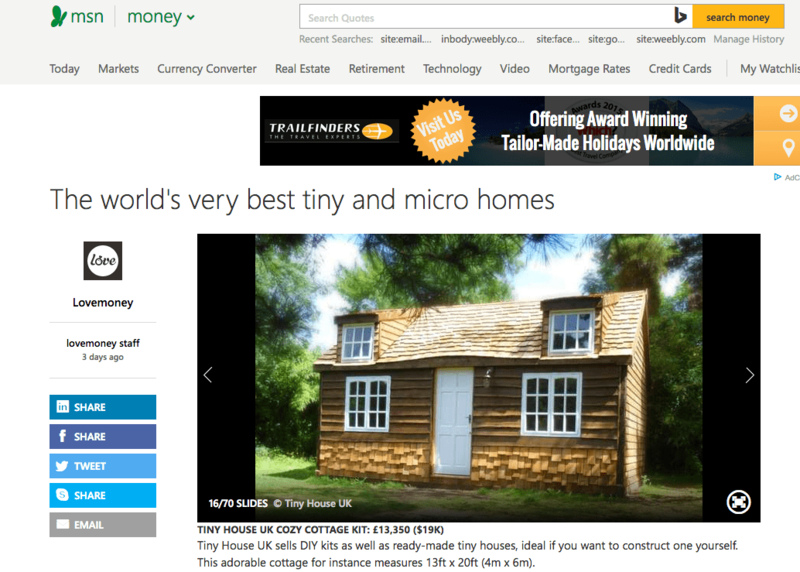 MSN - The Tiny House UK "Office". Believe it or not, you can buy one of these tiny cabins on wheels for just £10,000. House prices have risen by £200 a day in England and Wales over the past month - but don’t panic, if you get really desperate for a place to live, you can buy this portable Tiny House for £18,000.